In a tea garden tucked away in the Himalayan mountains, a couple prayed. They were in dire need and had been praying for a year that God would provide them with a cow. In fact, the pastor built a shed for a cow because he believed God had said He was going to provide one. One month later, God answered over and above what they had asked. 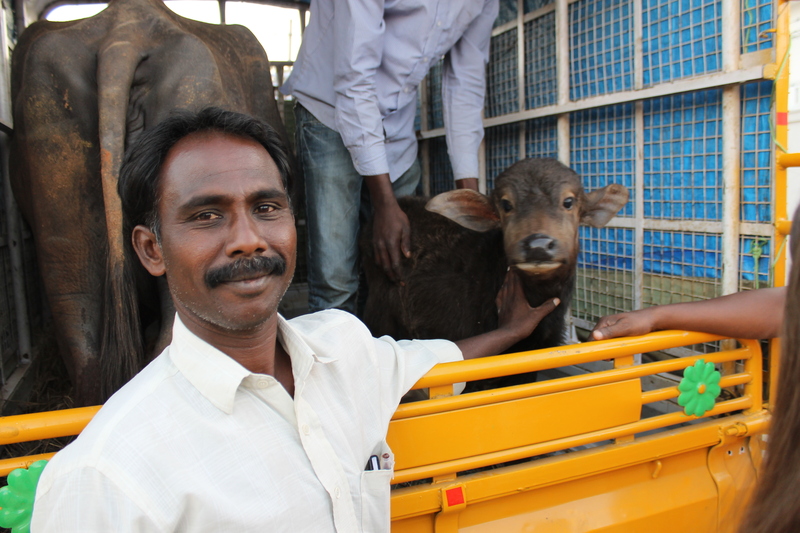 Due to the generosity of a sponsor, they received a cow that was ready to deliver a calf. Now they will have two cows that will not only provide milk for their family but will also allow them to sell the excess milk to others in the village. A family of a bridging school student was given a pair of goats with the stipulation that when they bred them they were to give a pair to another family in their village. That family in turn was to do the same and so on, thus a whole village benefits. Goats reproduce and two goats can develop into a whole herd, they can be sold for extra money, kept for their milk or can become mutton. A pair of goats is a gift that keeps on giving. A young widow with small children was forced to live on the streets after her husband’s death and she ended up in slavery. One of our national pastors learned of her situation and took some of his meager earnings from HHI and bought her out of slavery. He then bought her a sewing machine and set her up in business. Now she is no longer a slave, but rather is now a business woman. There are many other women who are in similar situations that simply need a hand to get out of the circumstances they are in and make a living. Wherever Jesus went He met the needs of the people and preached the gospel. By meeting the needs of others you take away whatever may be distracting them from hearing the gospel. When you give a livelihood gift, you not only help individual families but the whole village. In doing so you put the gospel on display!